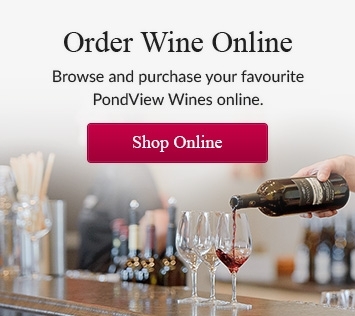 The PondView Book & Wine Club offers members a choice of 2 wines and a book of their choice with each order. This month, we’re featuring books by three Award Winning authors from Simon & Schuster Canada. First, that he is more than two hundred years old and personally inspired Mary Shelley, Robert Louis Stevenson and Bram Stoker in creating the three novels of the nineteenth-century that define the monstrous in the modern imagination. Second, that he’s Lily’s father. To discover the truth – behind her client, her mother’s death, herself – Dr. Dominick must embark on a journey that will threaten her career, her sanity, and ultimately her life. Fusing the page-turning tension of a first-rate thriller with a provocative take on where thrillers come from, The Only Child will keep you up until its last unforgettable revelation. Andrew Pyper is the author of eight novels, including The Only Child and The Demonologist, which won the International Thriller Writers award for Best Hardcover Novel and was selected for the Globe and Mail’s Best 100 Books of 2013 and Amazon’s 20 Best Books of 2013. He lives in Toronto. Visit AndrewPyper.com. As Clare uncovers the mysteries around Shayna’s disappearance, she must confront her own demons, moving us deeper and deeper into the labyrinth of lies and making us question what it is she’s really running from. Twisting and electrifying, this is a get-under-your-skin thriller that will make you question what it means to lose yourself and find yourself in the most unlikely places. Amy Stuart’s debut novel, Still Mine, was an instant national bestseller in Canada. Winner of the 2011 Writers’ Union of Canada Short Fiction Competition, Amy's writing has previously appeared in newspapers and magazines across Canada. Amy was born in Toronto where she still lives with her husband and their three sons. Aside from writing, she loves ice hockey. Visit AmyStuart.ca. Armando Lucas Correa is an award-winning journalist, author, and the editor-in-chief for People en Español, the top-selling Hispanic magazine in the United States. Correa is the recipient of various journalistic awards from the National Association of Hispanic Publications and the Society of Professional Journalism. The German Girl is his first novel. Please visit ArmandoLucasCorrea.com. Important: Someone over the age of 19 must be present at the time of delivery to sign for the package. If that's not possible we will contact you with alternate arrangements.